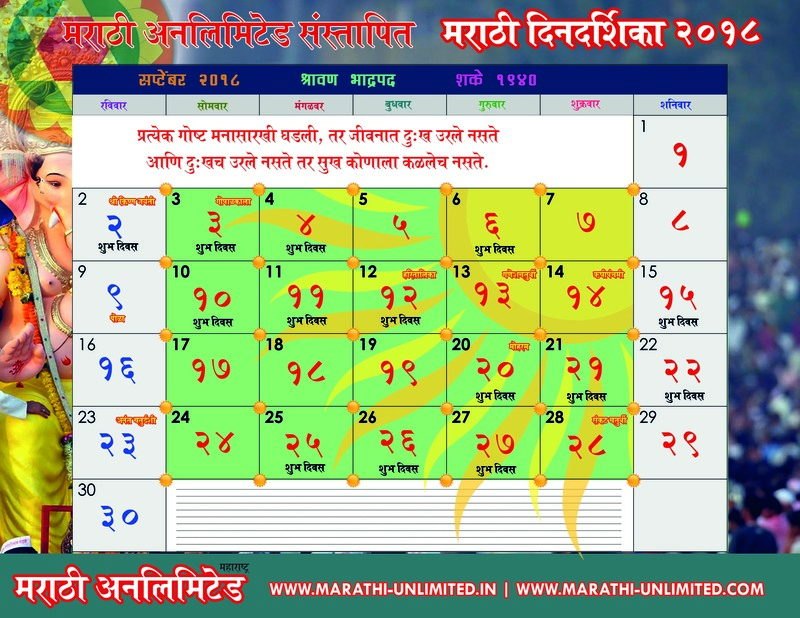 September 2018 Marathi Calendar Information in Marathi Language. Get Complete information of September 2018. Days and Dates In September 2018.